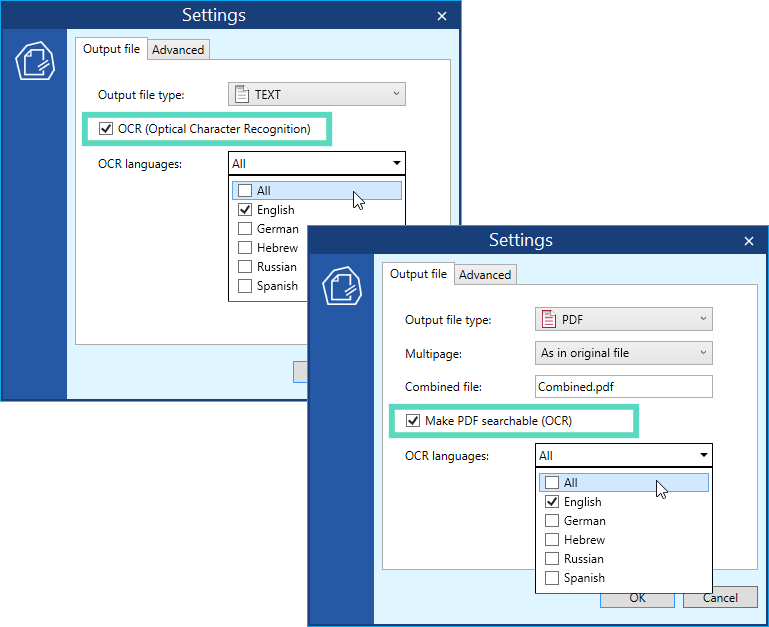 Our batch file converter DocuFreezer gets a new major update! Following an update 2.0, released in June 2018, this is a better version with enhanced performance. 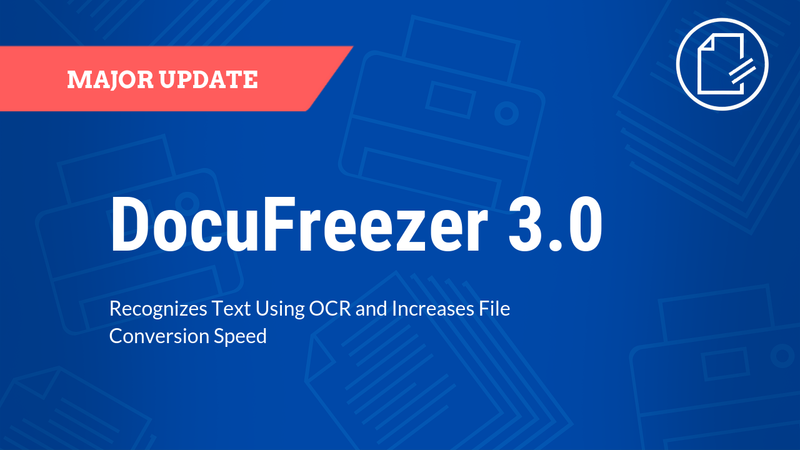 In version 2.0, the interface was changed entirely, whereas DocuFreezer 3.0 gets many performance improvements for faster conversion of your files. Moreover, we added new features, OCR functionality and new output and input file formats to the program. 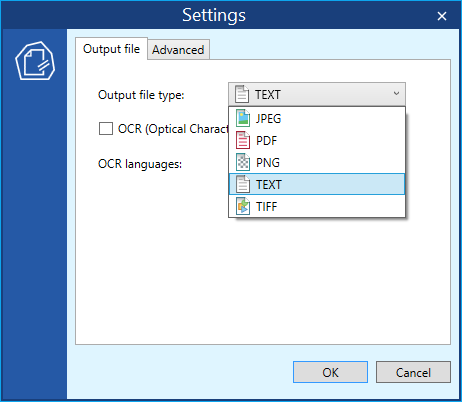 Version 3.0 adds a groundbreaking Optical character recognition (OCR) feature. DocuFreezer now can convert images, and document scans from PDF, TIFF, JPEG, PNG to a searchable PDF or a TXT file. You can also get text from AutoCAD (DWG, DXF) and Excel files (XLS, XLSX). The list of supported languages ​​includes English, Russian, German, Japanese, Spanish and Hebrew. English is set by default. For better results, select only those languages which your documents have (don’t select All, if the document text is just in English and German). Please note, that text recognition is not perfect: some characters may be corrupted or recognized incorrectly. Try to make sure that original files have high-resolution image quality. Now you can convert Word DOC, DOCX, RTF and other documents to the TXT format. If you want to have more input file formats available here, please let us know. The new DocuFreezer can convert DWG and DXF drawings to the PDF format and popular types of images. With the support for technical drawings, DocuFreezer is now a true batch DWG to PDF converter. It allows you to convert DWG / DXF to PDF or images (JPEG, TIFF, PNG) without the need for AutoCAD. What is more, the program can create PDF files with original text out of your DWG or DXF drawings (making a searchable PDF instead of converting the text to curves). With the new version, you can have your XLS or XLSX charts split into separate worksheets during the conversion to PDF, text or image format. It is convenient that output files are automatically named as [filename]-[worksheet name]. 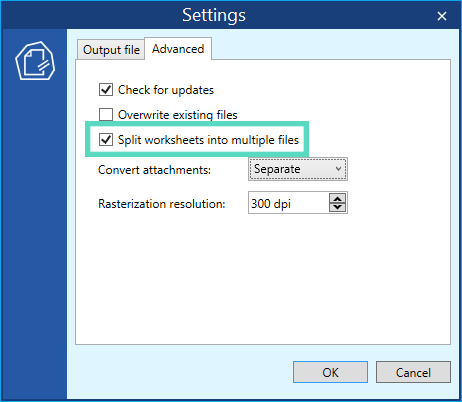 Go to Settings > Advanced and enable Split worksheets into multiple files to turn this option on. 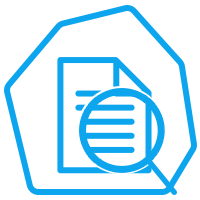 The new DocuFreezer can now put watermarks on the pages of your documents in bulk while converting them. The watermark can be set up in the Ini File Editor by adding new values. In the new version, you can select more color models for TIFFs and PNGs. We added a new monochrome color space, which can be selected in Settings > Output file > Color space. Overall, four different color models are available for output PNG and TIFF files: RGB, RGBA, Grayscale, and Monochrome. If you have the software running on a server and have large numbers of files being processed, available random-access memory can be an issue. We made an improvement, which will let you have DocuFreezer operating 24/7 without any problems with allocated memory. In case the amount of memory leaks exceeds a certain limit, the program engine will restart automatically. So that the user will not even notice this. This approach allows you to handle any number of files per session. Newly introduced component to convert PDF files into JPEG, PNG and TIFF images works faster. It does the job pretty well, showing approximately 2-3x increase in speed compared to version 2.0. The tests were made in the same conditions on a Windows 8.1 PC with Intel Core i5 processor and 16Gb of RAM. The CPU load on all test runs was only about 30-35%. Previously, the size of a single rasterized page in memory cache was limited to 1 GB in DocuFreezer. Now you can convert various documents (PDF, Word documents, drawings, and more) into images – JPEG, PNG, TIFF – with almost any DPI (Dots per inch) resolution. It is quite a significant improvement especially relevant for high-res drawings, posters, and other large documents. Which DPI is the best? Briefly speaking, 150 is good for simple texts, 300 is a standard value, and 600 and higher is for high-quality images. And yes, we know that strictly speaking the resolution here should be called PPI 🙂 But they say “DPI” when they mean “PPI” – so often that it’s become an established convention. DocuFreezer’s unique ability is to process files with container structure (e.g., emails with attachments, archives) and merge their contents to a multipage PDF. The examples are Outlook EML and MSG files with attachments, ZIP / RAR / 7ZIP archives. For EML to PDF conversion, just add the files to the program’s list, go to Settings and select Multipage > Merge into one PDF. This feature is connected to the previous one. DocuFreezer 3.0 does a better job at converting multi-level files, such as archives within archives inside or files with attachments. Now the program correctly processes all embedded contents within a file or archive. Version 3.0 had more than 60 pre-release builds with many fixes and improvements. The repairs were made for OCR, conversion to TXT, Excel files processing, PDF to PDF conversion, output page sizing for PDF, program interface resolution, converting email MSG plus attachment to a single PDF, and many more. Please download the free version of DocuFreezer for evaluation. Version 3.0 is available for free to those who already purchased version 2.0. Users of version 1.x can get a 50% discount.